There are a fair amount of 20 litre 800w solo microwaves on the market - here we look at Sharp's latest offering, the R272SLM which is finished in a smart modern silver and black colour scheme. If you're in the market for a small solo microwave, then you have an abundance of choice. All of the major manufacturers produce models in this area, in a variety of colours, shapes and designs. The Sharp R272SLM is aimed at a modern and minimalist kitchen, with a silver and black colour combination and contrasting white labelled buttons. The LED display is clear to read whether in sunlight or darkness, and the controls are marked for easy reading, so you won't have to consult the manual too much. Being a solo microwave, the R272SLM is fairly basic in function, but what it does, it does well. It features 11 power levels, which go up to 800w in power, together with 8 presets to save you time and having to guess the defrosting or cooking time of a common food type. 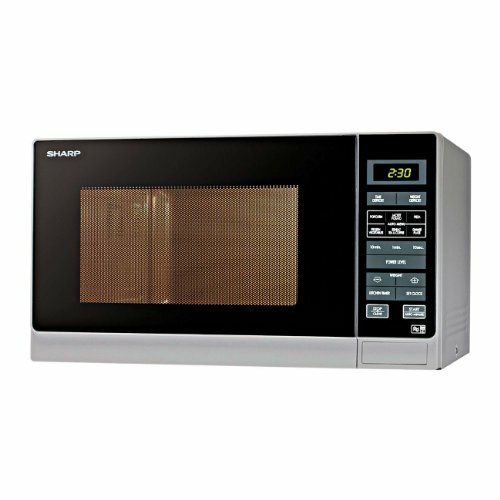 The Sharp R272SLM includes the usual features of most microwaves, such as a child lock and digital kitchen timer, and measures 43.9cm by 25.7cm by 35.8cm externally. Internally it wipes clean easily, with a removable glass turntable and features a 30.6cm by 20.8cm by 30.6cm cavity. In use, our testers found the R272SLM easy to operate, and it worked pretty well - cooking without leaving any noticeable cold or uncooked areas. So should you buy the R272SLM? It's as good as any 800w solo microwave we've encountered, and looks good too. Sharp have a history of producing pretty reliable microwaves, and the R272SLM feels well built. 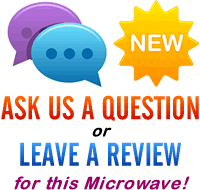 Ultimately it will come down to whether you like the design of this microwave - simply as there are so many microwaves with virtually identical specifications on the market. If you like what you see, then we wouldn't hesitate to recommend the Sharp R272SLM - it offers good value and is simple to use. 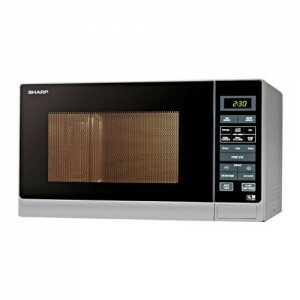 The Sharp R272SLM is a good compact microwave, which in our opinion looks attractive and performs well. There are a lot of competing models with similar specifications for around the same price, but the R272SLM seems as good as any that we've tested.